Adam West passed away yesterday evening. 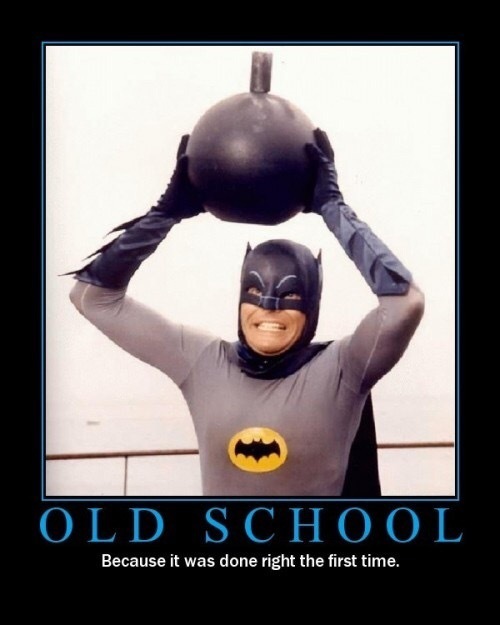 He was the first Batman I saw when I was a child. The show was already in reruns in the mid-eighties. Batman was my summer time weekday programming. I’ve seen every episode a few times over. Even the movie is in my collection of DVDs. A few years ago, I had the pleasure of meeting Mr. West at Fan Expo Vancouver. He was at his autograph table right next to his former co-star Burt Ward. There was no line up to meet them on the Sunday, so my son and I decided to go say hello. My son was only six at the time and a couple of days before we had watched the old Batman movie. Adam West was the nicest man to my son. They talked for a while about the movie. My son told him that his favorite part was the scene where he was running around with the big bomb. It was great to just hear them interact. Adam West was like an uncle sharing a good laugh with his nephew. After about ten minutes of laughs and conversation, my son said thank you and they shook hands. Immediately after our meeting, we wandered over to meet the actor who played Boba Fett (Jeremy Bulloch). My son was so excited- he told Boba Fett that he had just met Batman. Adam West made an impression on me as a child. He also made an impression on my son but in a more direct manner. My son and I have bonded over your version of Batman. Thank you for the years of laughs. From Catchprases to Catastrophic Films.